Fair Grounds in New Orleans, La. Fair Grounds Race Course & Slots has announced that 56 stakes worth a total of $6.87 million will be up for grabs for this upcoming 2018-19 racing season, which is set to begin on Thursday, November 15. 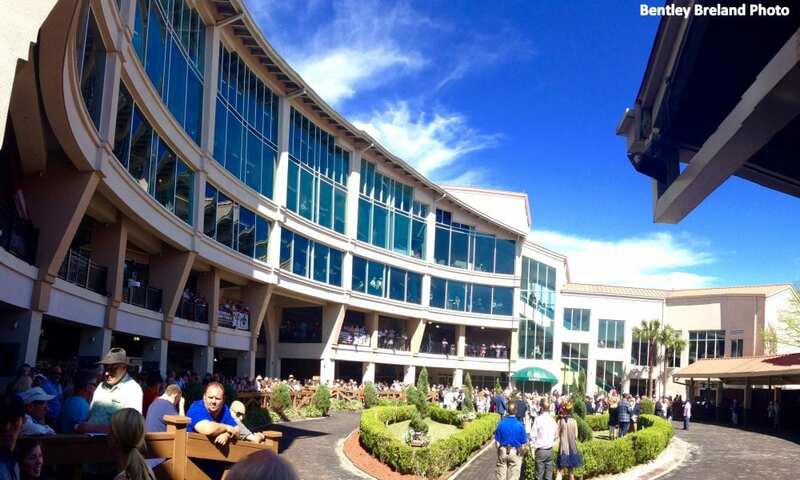 Headlining the stakes program is Louisiana Derby Day on March 23, which is the signature day of racing at the New Orleans oval and will feature eight stakes events worth nearly $2.4 million. Highlighting the lucrative stakes program is the 106th running of the Grade II $1 million Louisiana Derby – the final of three local prep races for the Grade I $2 million Kentucky Derby Presented by Woodford Reserve. The Louisiana Derby's sister race, the Grade II $400,000 Fair Grounds Oaks, will see its 52nd running and will be contested on the same day for three-year-old fillies wishing to qualify for the Grade I $1 million Longines Kentucky Oaks. The Grade II $400,000 New Orleans Handicap will run for older horses over the main track at a mile-and-an-eighth distance and the Grade II $300,000 Muniz Memorial Handicap will cover the same ground for older horses over the Stall-Wilson Turf Course. Four additional undercard stakes events are also slated for the program and include the $75,000 New Orleans Ladies Stakes for older fillies and mares going a mile-and-a-sixteenth on the grass. The $60,000 Costa Rising Stakes – a 5½-furlong turf sprint for Louisiana-breds and the Crescent City Oaks and Crescent City Derby for 3-year-old state breds for $75,000, are also scheduled for Louisiana Derby Day. Fair Grounds will host a pair of major stakes days that also include prep races on the Road to the Kentucky Derby. On January 19, Fair Grounds will host Road to the Kentucky Derby Kickoff Day which features the Grade III $200,000 Lecomte Stakes – the first of Fair Grounds' trio of qualifying races for the FirstSaturday in May. The day will also include the Silverbulletday Stakes, the first local event for Kentucky Oaks aspirants and the Colonel E.R. Bradley Stakes contested for older horses over the Stall-Wilson Turf Course. Both races carry a $125,000 purse. Three more stakes events make up the action packed day of racing – the Louisiana Stakes for older horses going a mile-and-a-sixteenth on the main track, the Duncan F. Kenner Stakes for older horses going six furlongs on the main track and the Marie G. Krantz Memorial Stakes for fillies and mares on the grass. All three stakes are worth $75,000. Louisiana Derby Preview Day will take place four weeks later on February 16 and features the Grade II $400,000 Risen Star Stakes which offers points on the Road to the Kentucky Derby. The card includes an additional quintet of stakes races like the Grade II $200,000 Rachel Alexandra Stakes, a qualifying race for the Kentucky Oaks. The mile-and-a-sixteenth event for 3-year-old fillies was the sophomore debut for eventual Kentucky Oaks winner Monomoy Girl in its most recent edition. Also taking place on the day are the Grade III $150,000 Mineshaft Handicap for older horses going a mile-and-a-sixteenth on the main track, the Grade III $150,000 Fair Grounds Handicap for older horses going a mile-and-an-eighth on the turf, the $75,000 Colonel Power Stakes for older horses on the turf going 5½ furlongs and the $75,000 Albert M. Stall Memorial Stakes for older fillies and mares going a mile-and-a-sixteenth on the turf. Other important stakes days at Fair Grounds include Louisiana Champions Day on December 8. The program features ten stakes that cover different divisions and are restricted to Louisiana-breds. All stakes races are worth $100,000 with the exception of the Louisiana Champions Day Classic, which carries a $150,000 purse. The Tenacious Stakes (3-year-olds and upward on the main track going one mile and 70 yards), the Bonapaw Stakes (3-year-olds and upward on the turf going 5½ furlongs), the Blushing K.D. (older fillies and mares on the turf going a mile-and-a-sixteenth), the Buddy Diliberto Stakes (3-year-olds and upward on the turf going a mile-and-a-sixteenth), and the six-furlong Sugar Bowl Stakes for 2-year-old colts and Letellier Memorial Stakes for 2-year-old fillies make up Santa Super Saturday, scheduled for December 22. The sextet of stakes races are worth $75,000 each. Notable changes to the stakes program include an increase in purse money. All open company stakes events that were worth $50,000 last season were each given a $25,000 enhancement. This boost was given to ten stakes races – the Richard R. Scherer Memorial Stakes (December 1), the December 22 Letellier Memorial Stakes and Sugar Bowl Stakes, the Tiffany Lass Stakes (December 26), the Pan Zareta Stakes (January 5), the Nelson J. Menard Memorial Stakes (February 2), the Colonel Power Stakes (February 16), the Black Gold Stakes (March 2), the Allen LaCombe Stakes (March 9) and the New Orleans Ladies Stakes (March 23). The stakes program will be kicked off by the $50,000 Tom Benson Overnight Stakes on Opening Night, Thursday, November 15. Named in honor of the late Thoroughbred co-owner and husband of Gayle Benson, the New Orleans icon was co-owner of GMB Racing and the NFL's New Orleans Saints and NBA's New Orleans Pelicans until his passing. The one-mile turf event for state-bred fillies and mares was formerly named the Si Cima Overnight Stakes. This entry was posted in The Biz and tagged fair grounds, kentucky derby, Louisiana Derby, Louisiana horse racing, Louisiana racing, Purses by Press Release. Bookmark the permalink.